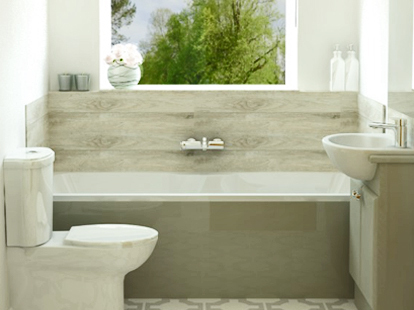 The client’s existing bathroom was outdated and impractical and required updating. 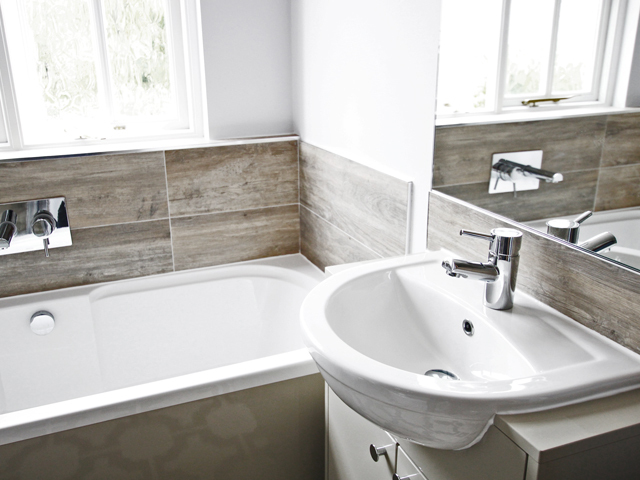 This design was to completely refurbish a family bathroom and replace with a modern, bright and clean lined space. 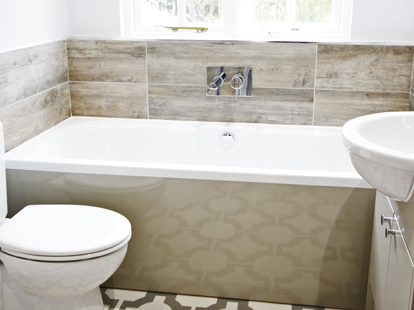 'I chose a colour palette of warm neutrals with textures and tones inspired by nature, such as the wood effect tiling around the bath and in the shower. My design focused on simple clean lines and a light, classic style. As my client was letting the property it was important to ensure the finished room was easy to clean and accessible. 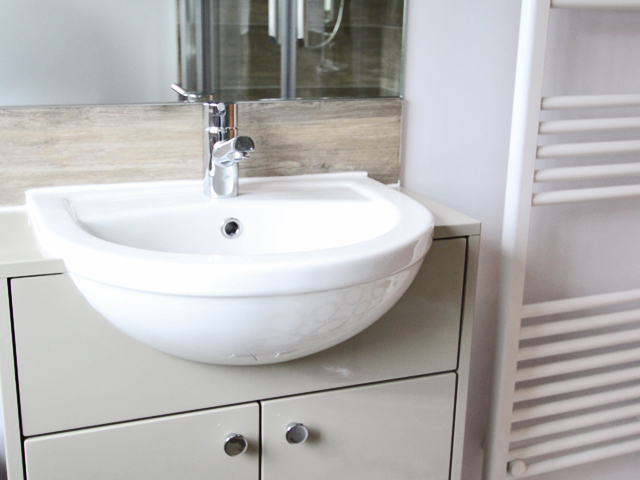 'I chose bathroom furniture in French Grey which works well in most designs and is easy to coordinate other colours. 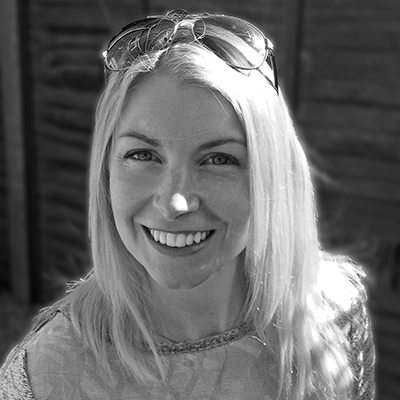 'For flooring, I used a luxury vinyl which is hard wearing and easy to keep clean. The strong geometric pattern gave the space a strong design feature, which was also in a colour that worked well with the other palette choices in the room. 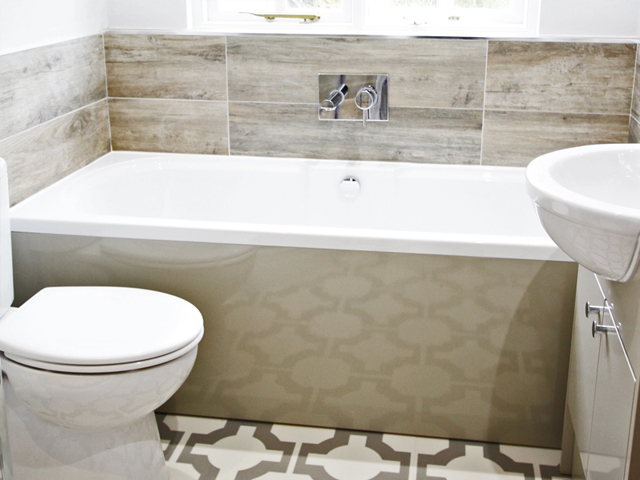 'I added a bath panel also in French Grey to complement the other similar tones, which worked really well with the white ceramic porcelain'. 'My design also incorporated ways in which to maximise the limited space such as a corner quadrant shower and semi-recess basin. White-light LED's were installed to provide plenty of lighting for the room. 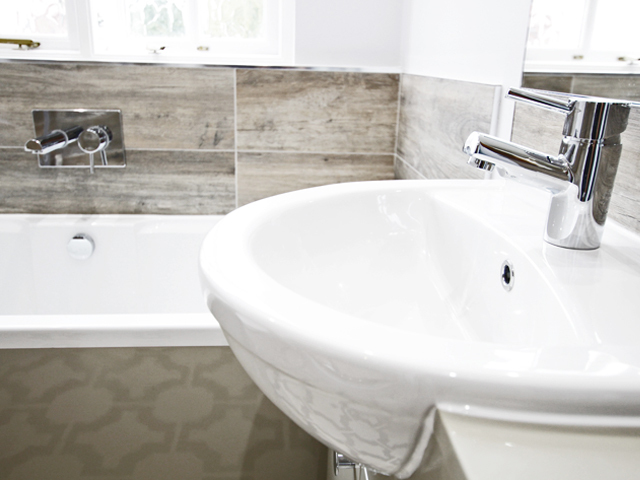 'In the end, we were delighted not only that everything was delivered smoothly, on time and within budget, but that the attention to detail in every aspect of the work ensured we had a bathroom which surpassed our expectations and which, 18 months later, we still enjoy and are proud of'.